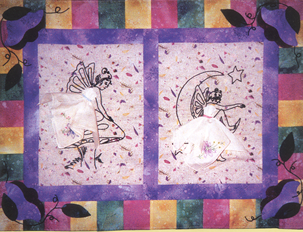 Presumes basic knowledge of quilting and applique techniques with hankies. 21-1/2" x 29" quilt. Now you can use your favorite antique hankie without having to cut it at all. Beautiful pattern.